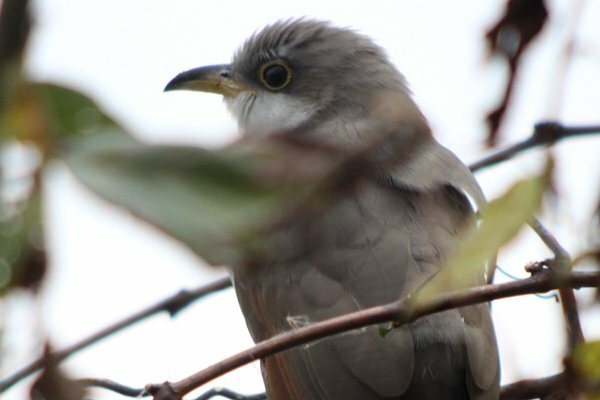 It is not every day that a Yellow-billed Cuckoo decides to cooperate and sit out in the open for pictures. In fact, the vast majority of birding days go by without Coccyzus americanus making any kind of appearance at all. So you can imagine my pleasure, then, when I spotted one skulking in some thick brush last week when I was exploring the John Heinz National Wildlife Refuge in Philadelphia, Pennsylvania, for the first time last week. I got my digiscoping rig set up and waited. And waited. And waited. The bird moved through the brush and I occasionally tried to get a shot of it that wasn’t too obscured but rarely succeeded. 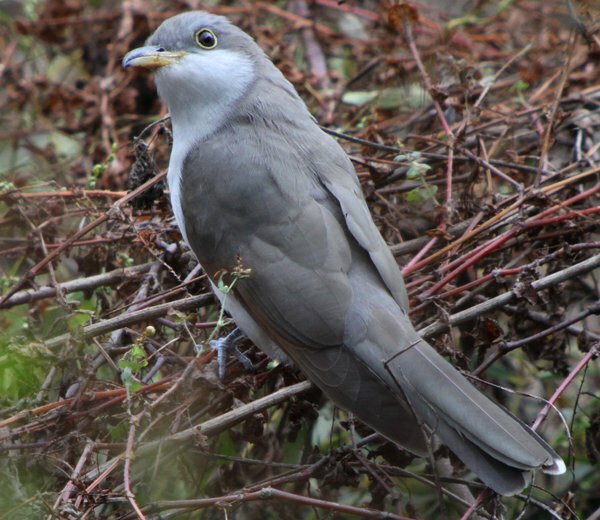 Then the bird flew to the back side and I had a clear shot at its head through a window in the undergrowth. I thought that was cool but then the bird flew down to a tangle of vegetation on the ground and just sat there. In the open. For nearly a full minute. 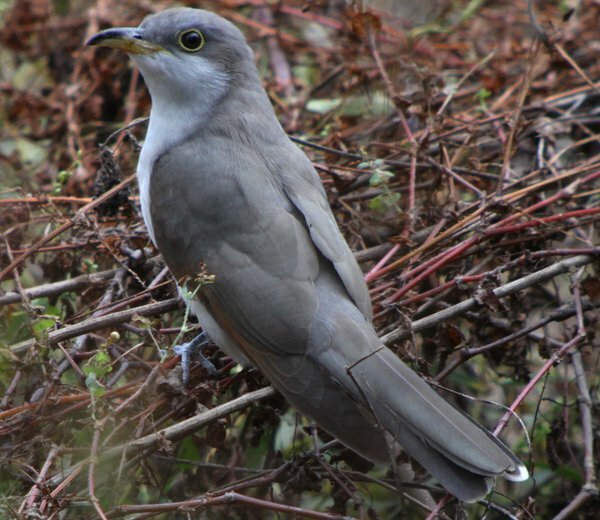 Now that is how you want to see a Yellow-billed Cuckoo! 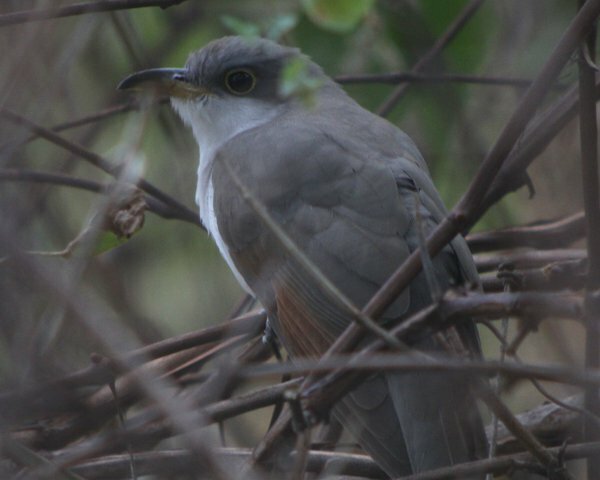 Always keep your digiscoping rig with you because you never know when a cuckoo will be cooperative! 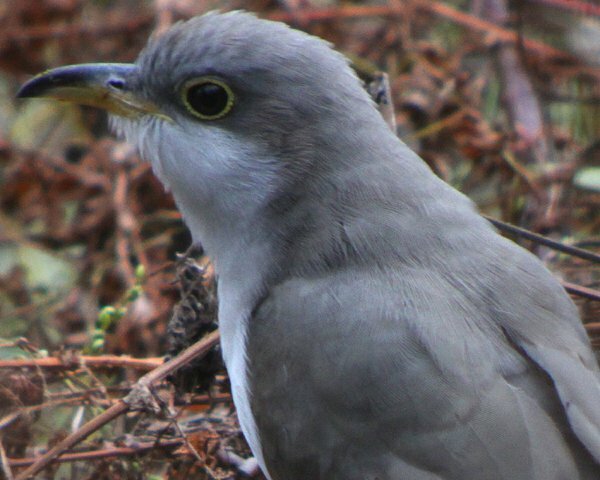 This post has been submitted to Bird Photography Weekly #166. Go check it out! I can see the digi-scope does give you some amazing images. You got lots of detail. I like it yellow eye ring.